Voice teachers at Music House, while all excellent teachers, have a variety of musical backgrounds. From singing lead in operas and being a part of a Grammy-winning chorale, to playing with lots of famous bands (such as REO Speedwagon and Fastball), to taking home the silver medal at an international barbershop competition, to experience teaching school choirs and theatre classes, these teachers cover the spectrum in what they have to offer their students. There's no doubt Music House voice students have great choices when it comes to selecting a voice teacher. Here's a little more information to help you get to know them better. What is your favorite thing to teach students? What makes you happy to see them learn? "I like to teach students how to become better musicians along with becoming better singers. It’s important to incorporate skills like sight reading and practice techniques into lessons to help students become more independent. What makes me the happiest as a teacher is seeing a student achieve a goal that they have been struggling with for a long time. There is nothing more rewarding than to watch a student have a breakthrough and know that the guidance you’ve given them, in addition to all of their hard work, has resulted in something awesome!" "Vocal pedagogy, both the art and science. I mainly enjoy the art realm of the study. Watching students learn in general excites me, but watching them take what they learn [and apply it] to their own craft--that is what makes teaching one of the most rewarding jobs ever." "I love teaching my students that they can sound better than the recording they hear on the radio! Too often they come to their lessons assuming that they can only sing as well as the singers they listen to regularly. My favorite part about teaching is when a student finally understands a concept you have been working on and you see the sense of pride on their face after a success!" "I stress fundamentals and performing. When I see something finally click for them and they have a little more control over their voice, it really is a great experience." What do you do or have you done with your vocal education/experience? "There are many. One in particular was the Garmin Phone commercial. The singing at the end is me. Plus I was the tenor in those Garmin Christmas commercials. Not the cool one with the Chinese Food lyric, though." "I've had lots of performance experience throughout my life, but the most profound was in New York City in 2014. Earlier that year I had premiered the role of the Evil Queen in a new opera entitled "The Magic Mirror" and we took the show to the NYC International Fringe Festival that summer. The show was later awarded the American Prize in Opera Performance. "I had visited NYC several times to audition for various opera companies but I had never gotten to actually perform! It made me feel like I was really a contributing member of the international art community." "Traveling has been one of the most rewarding things that I’ve gotten to do as a direct result of my music education. In college, I had the opportunity to travel to Europe twice to perform in concerts with my choir in some amazing cathedrals and venues. Here’s a link to a performance of Ave Maria by Pawel Lukaszewski in a church in Boppard, Germany." "One of the cool things I've done is to be in an octet that sang backup for Ben Folds on his United States Symphony Tour. " "My favorite part about teaching is when a student finally understands a concept you have been working on and you see the sense of pride on their face after a success." If you could give each student one piece of advice what would it be? "Practice more. If you don't know what to practice or how to practice, your teacher can help you! Setting up a good practice routine early in your musical studies will help you not only in your artistic growth, but help regulate the other schedules in your life. Music and the practice of it is a discipline." "Don’t hold yourself back! Give yourself permission to try new things. It might be scary at first, but the only way to get better at something is to stretch out of your comfort zone and just go for it!" "Keep a versatile ear. Don't limit yourself to one genre or style." "Find your own voice. As singers, we go through many periods of imitating things others do because we like the way it sounds, but this isn't always authentic to who we are." 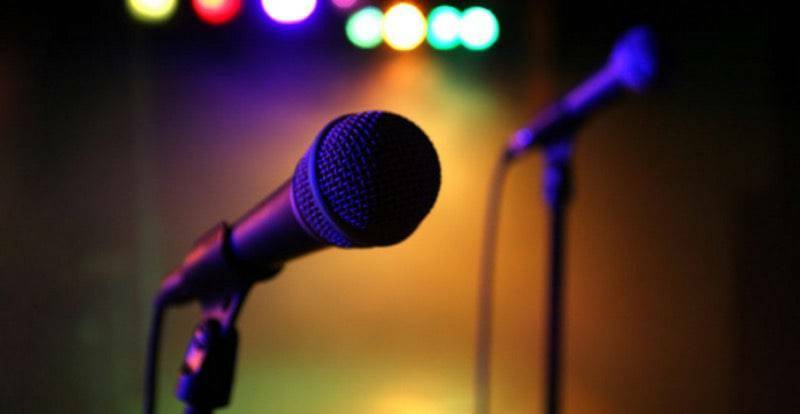 In your opinion, what is the best way for students to become better singers? "Don't just sing the song. Believe in the song as if you wrote it. If you don't believe, no one else will either. "Get with your friends, school, whoever, and start a band. It's great to write and play original tunes, but learn all the covers you can. Cover tunes are the building blocks to rocking socks. You become a stronger performer being in a band. Even Lou Reed played frat house parties." "Singers become better when they actively try to sing things that feel outside of their comfort zone. I try to entice my rockers into singing some jazz and my pop queens into singing musical theater. The more you let yourself experiment with different sounds and explore your own voice the better you will become." "The best way for students to become better singers and musicians is through practice. Not just singing through their assigned repertoire, but by being mindful of the goals that their teacher is trying to help them with and how that relates to the songs they’re working on. Lessons by themselves can only get you so far, but practice is what will take you to the next level." "The best way for students to get better is to become very self aware. What we hear and what our listeners hear are two different sounds. Record yourself and listen back. Make subtle changes and listen again. And always look back to the fundamentals when you are having an issue." "Don't just sing the song. Believe in the song as if you wrote it. If you don't believe, no one else will either." With teachers offering such diverse experience and outlooks, you should be able to find a great match to help you achieve your singing goals; one that seems to be a match made in heaven to help you get where you'd like to be vocally. As they say, there's no time like the present.